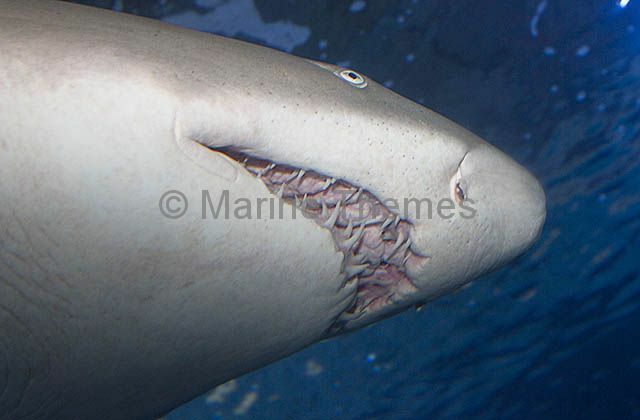 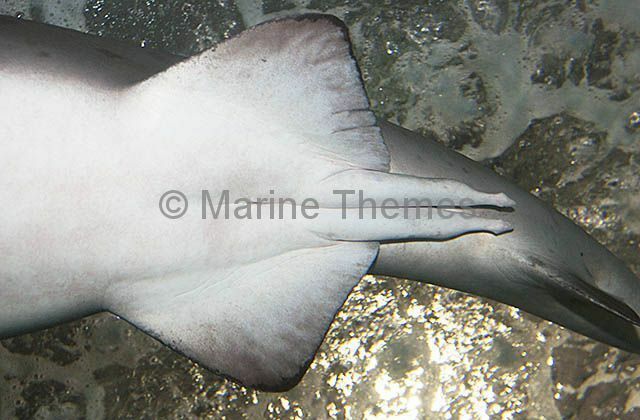 Grey Nurse Shark (Carcharias taurus) with matng scars and scratches on head. 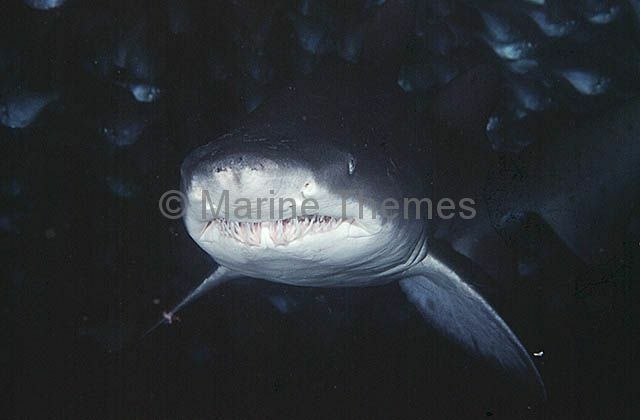 Grey Nurse Shark (Carcharias taurus) hovering in cave among Bullseye fish. 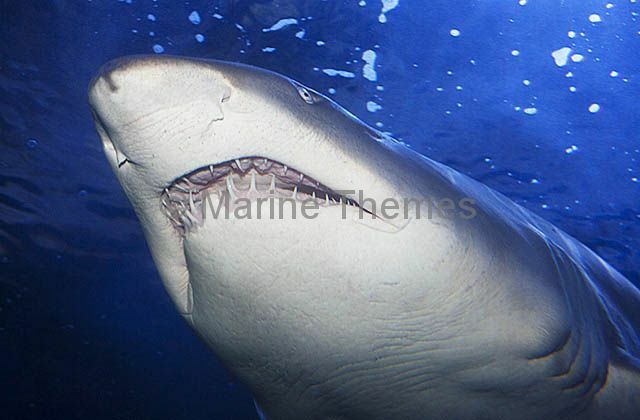 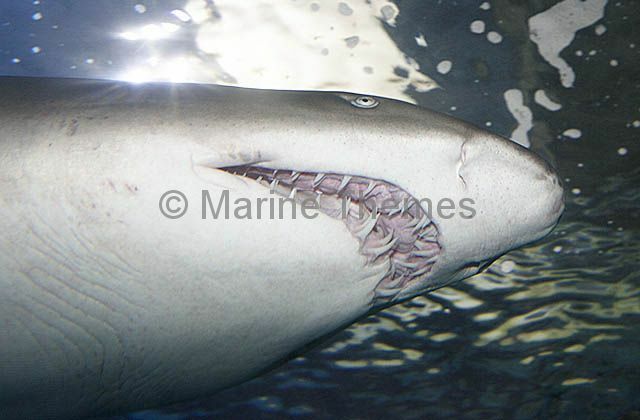 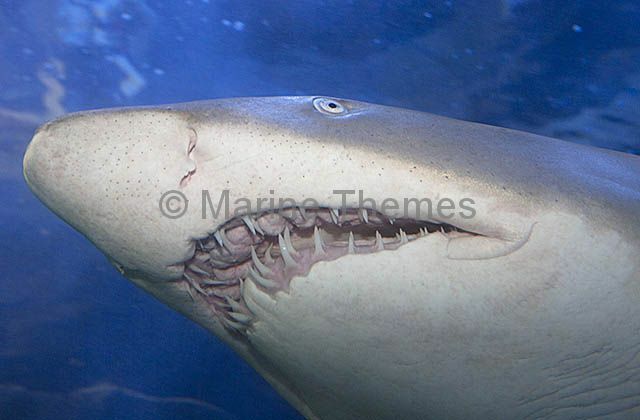 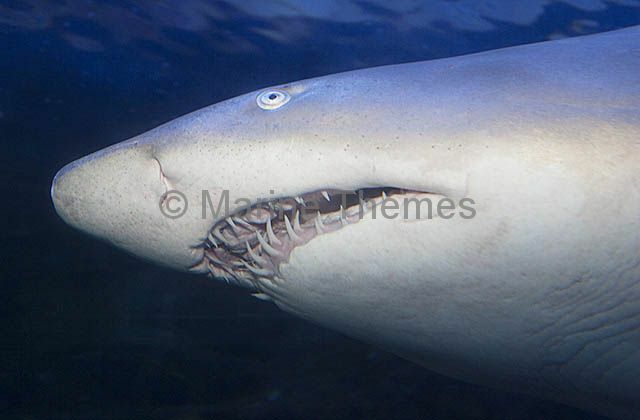 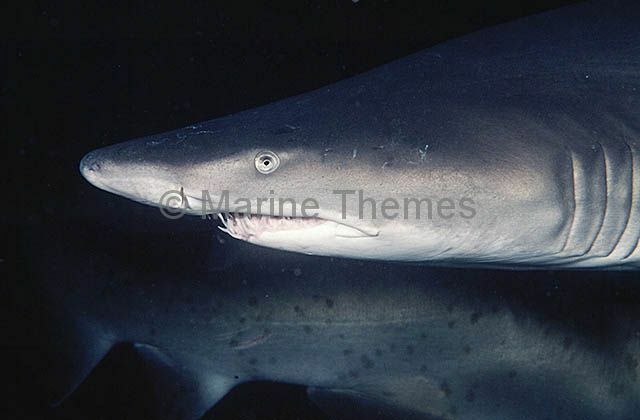 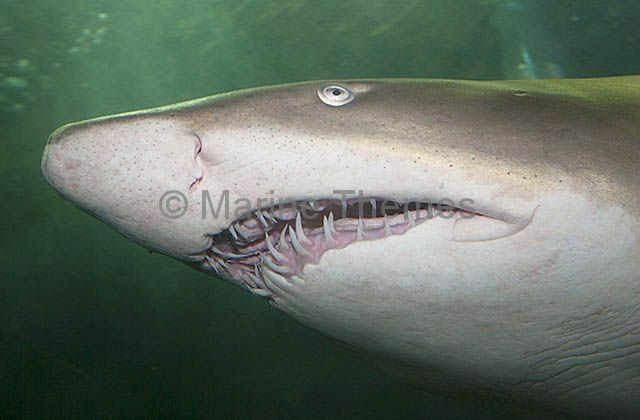 Grey Nurse Shark (Carcharias taurus) or Sand Tiger Shark. 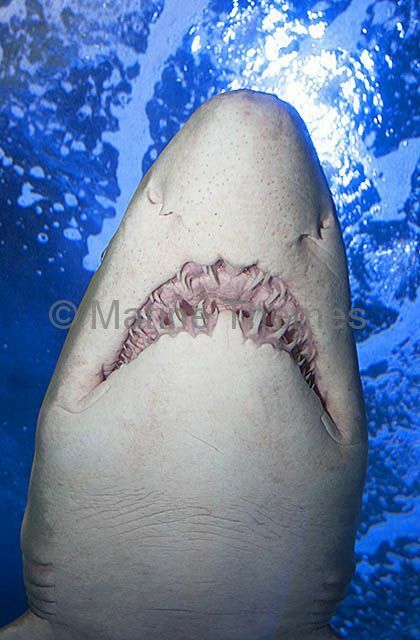 Detail of male claspers. 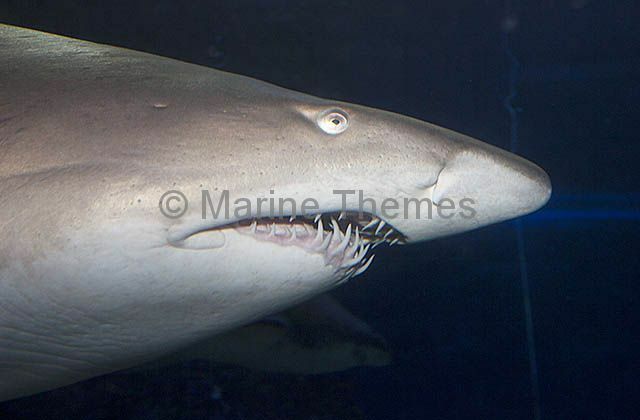 Grey Nurse Shark (Carcharias taurus) or Sand Tiger Shark. 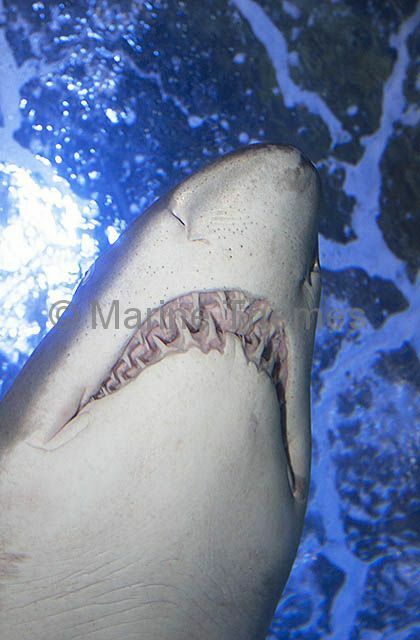 Detail of mouth and teeth. 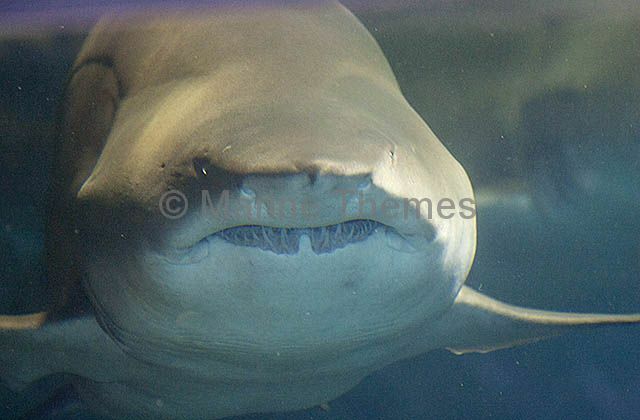 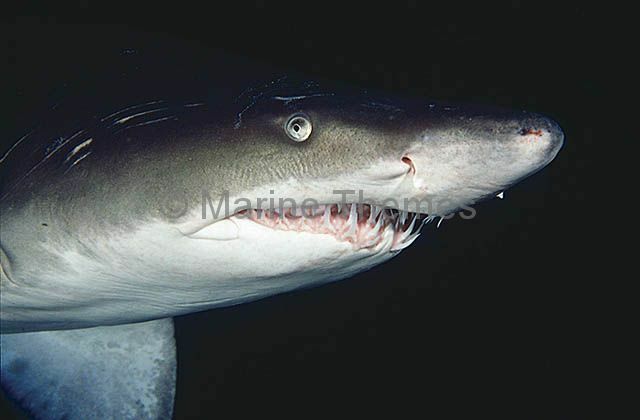 Grey Nurse Shark (Carcharias taurus) or Sand Tiger Shark. 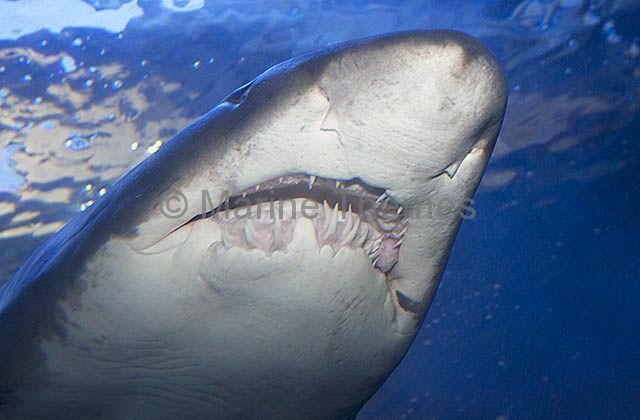 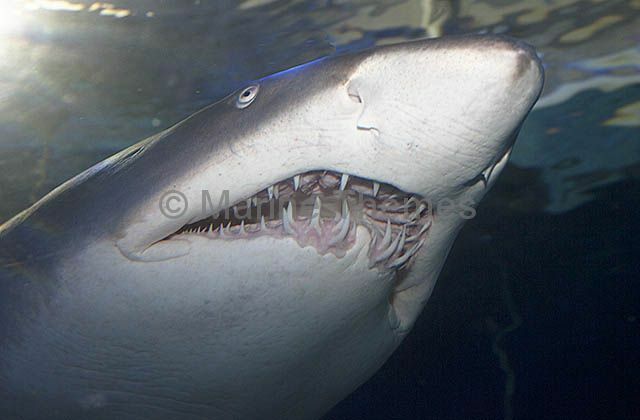 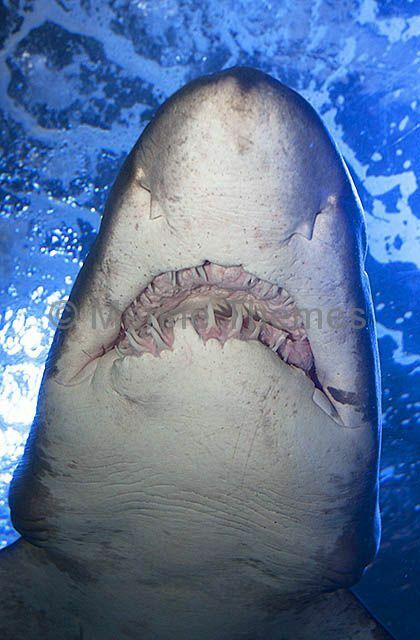 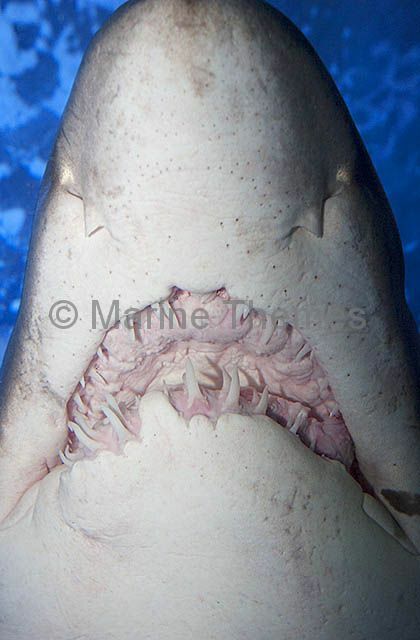 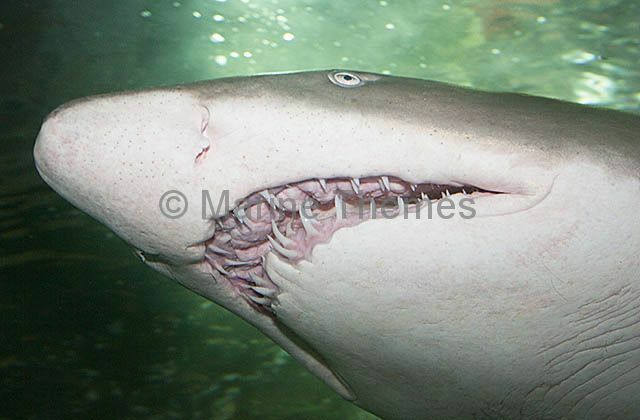 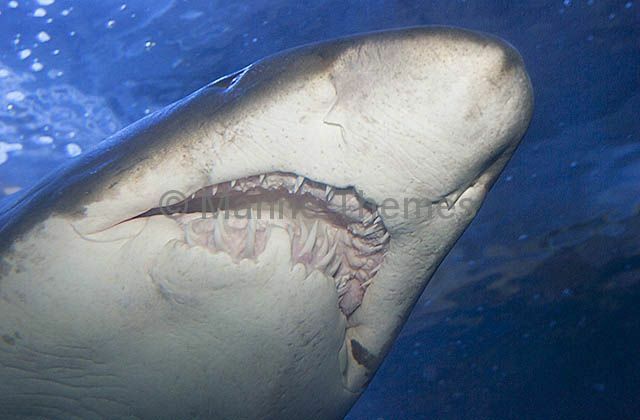 Grey Nurse Shark (Carcharias taurus) Front view showing exposed teeth.